Grammy Nominated Porter plays Porter with Nancy King is a mix of swing, harmonic and lyrical adventure – songwriting mastery that grants these musicians more than just a vehicle for improvisation, but an invocation of their collective muse. Nominated for Best Vocal Jazz Album in the 60th Grammy Awards. Veteran pianist Randy Porter is a fine modern straight ahead pianist who in his career has worked with Freddie Hubbard, Benny Golson, Charles McPherson, the New York Voices, Rebecca Kilgore and David Friesen among others. On his tribute album to Cole Porter, he teams up with bassist John Wiitala, drummer Todd Strait and, on six of the nine selections, the great singer Nancy King. The set features eight Cole Porter songs plus the pianist’s ballad “Inside Your Mind.” Nancy King brings her own warmth and individual phrasing to such songs as “I Concentrate On You,” “Just One Of Those Things” and “All Of You,” sounding very much in her musical prime. Porter takes “I Love You,” “Why Can’t You Behave” and “Get Out Of Town” as instrumentals. His solos are swinging, boppish and full of subtle creativity while keeping the melodies in mind. Wiitala and Strait are excellent in support of the lead voices. Further analysis is not needed. Randy Porter’s Plays Cole Porter, which is available from www.randyporter.com , is a high-quality set of creative jazz that is easy to enjoy. 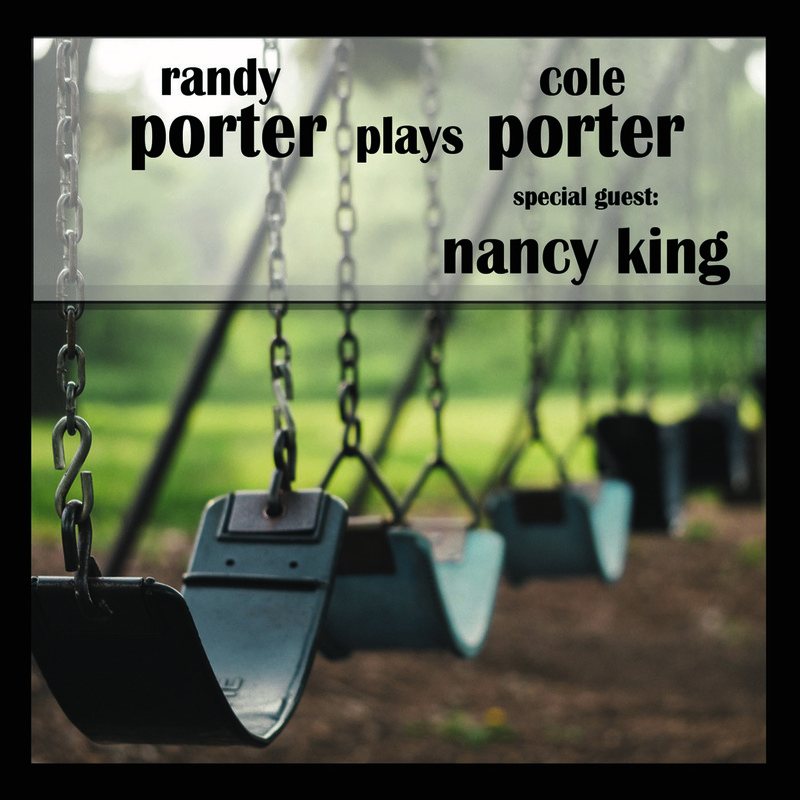 Randy Porter Trio with Nancy King, Porter Plays Porter (Heavywood Music; 41:57 ): Unlike the other albums discussed in this column, the singer here is listed as a “special guest.” This is really the Oregon-based pianist Randy Porter’s album, and he delivers the goods. His modern interpretations of eight Porter classics (plus one worthy Randy Porter original) are dazzlingly accomplished. Nancy King’s singing is inventive, but sometimes strenuously so, leaving me longing for the original melody. If Randy Porter played more widely outside the US Pacific Northwest, he would likely be lauded as one of the leading contemporary jazz pianists. This new album of songs composed by his namesake Cole Porter could go a long way toward bringing about wide recognition of an artist with a record of achievement going back more than three decades. Porter has toured extensively in Europe and Asia, traveling with saxophonist Charles McPherson and bassist David Friesen, among others. He is known on the west coast well beyond his home base in the Portland, Oregon, area. Six of the nine tracks find Nancy King, at 77, as musicianly as ever—individualistic and expressive, one of the few vocalists capable of improvising with harmonic wisdom equal to that of experienced instrumentalists. Her coordination with Porter, bassist John Wiitala and drummer Todd Strait is evident in this Cole Porter classic captured on video at the recording session.